With Tax Day looming on April 17, congressional Republicans last week continued their ongoing push to remake the Internal Revenue Service, with the House Ways and Means Committee clearing a dozen tax-related bills for possible floor action this week. “The committee is taking the biggest and boldest step in 20 years to redesign this agency into a place with one singular mission: taxpayer service,” the panel said in a joint statement after the bipartisan vote on April 11. “We’re laying out the guardrails and architecture of what a new IRS would look like and requiring them to bring back the  restructuring plan,” added Chairman Rep. Kevin Brady, R-Texas, touting bills as remedies for long wait times at call centers, property seizure “abuse” and outdated information technology. The Taxpayer First Act (H.R. 5444), for example, would create an independent appeals process to review taxpayer disputes. 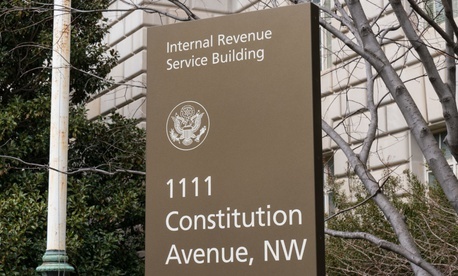 The 21st Century IRS Act (H.R. 5445) would augment the agency’s antiquated IT systems that include two of the government’s oldest, dating back to the 1960s, the committee reported. Another bill would require standardized use of electronic forms and e-signature tools. The package of bills also would require more notice to taxpayers from the IRS when seizing assets and would permanently reauthorize the Free File and Volunteer Income Tax Assistance programs for low and moderate-income Americans. More broadly, the package would require the agency to give Congress a comprehensive plan on how to restructure the agency by September 2020. Acting Commissioner David Kautter, who is also assistant Treasury secretary for tax policy, told senators that the incidence of identity theft among taxpayers had declined from 2015-2017, by as much as 65 percent, for example, as measured in identity theft affidavits submitted. “The IRS would need additional resources to ensure successful implementation of tax form” on top of the $320 million included in the March omnibus spending bill, he repeated. He promised updated implementation plans with two-year cost estimates. The nonprofit Aspen Institute highlighted the package’s mandate for electronic filing of tax-exempt groups’ annual returns on form 990, which “coupled with the release of the forms as open, machine readable data, will benefit the public and the nonprofit sector, while strengthening tax administration and law enforcement,” it said.